A new publication in Forensic Science International Genetics involving lab members investigates the kinship among Neolithic humans in a Polish burial site. In an upcoming publication in Current Opinion in Genetics and Development Torsten and Mattias review the manifestation of demographic events in the genomes of prehistoric Europeans. A new publication by Lucie and others in Genetics describes a new approach to investigate population size changes in the past. Carina and others investigated the faith of San populations in a new publication in Human Genetics. A new publication sheds light into the demographic history of early farmers in Anatolia. The paper appeared in Current Biology. 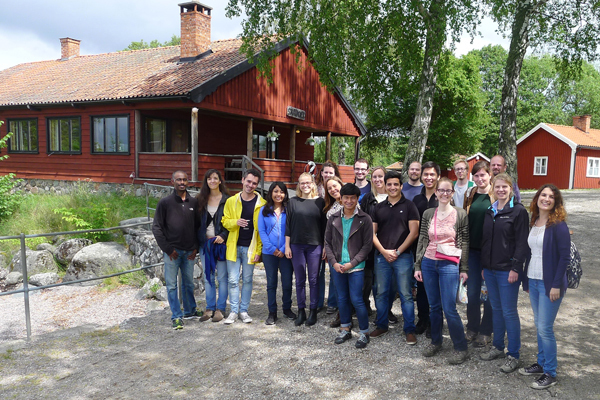 Lab outing to the Viking town Birka — June 17. March 24th: The new lab page is now online, enjoy reading. March 1st: We have moved to our new offices in Organismal Biology. New publication from the lab appeared in Current Biology. Emma and Helena will be presenting at 22nd EAA. 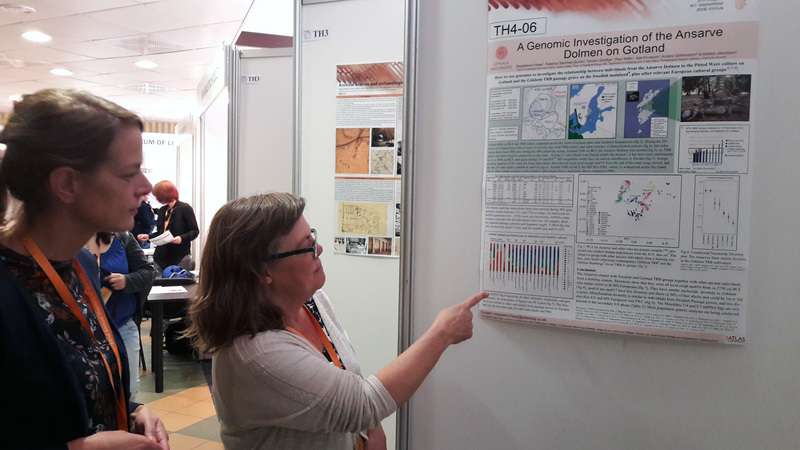 Here is a little impression from the poster session showing Helena and Magdalena. Human innovation – such as the invention of the wheel, the use of boats and the Neolithization process – led to major migrations as well as changes in lifestyle throughout history. Humans encountered new ecosystems, domesticated plants and animals, and were faced with new pathogens. These changes did not just affect the genome of our species, but also the genomes of a number of the species around us. Examples of such effects include the development of domesticated species, the extinction of wild fauna, the strong selective sweep causing lactase persistence, and human population growth as well as admixture among populations during secondary contact. 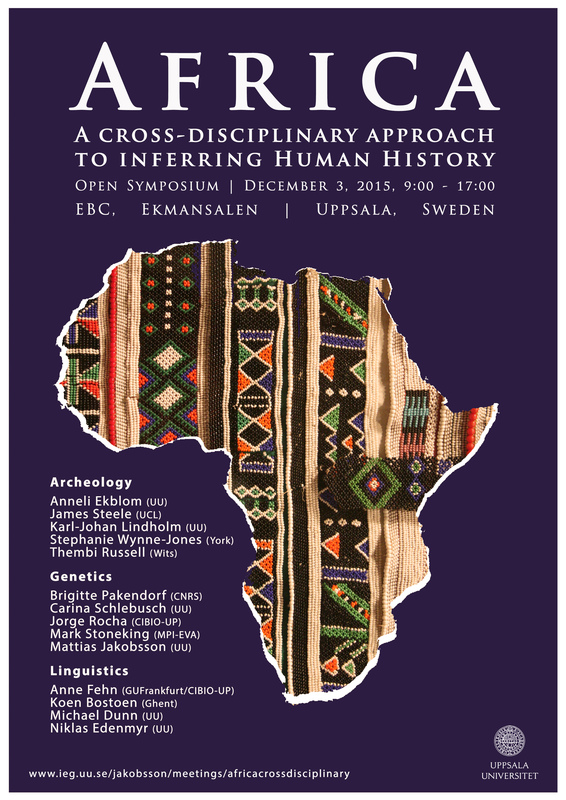 Inferring past events from modern populations has its limitations, but the recent technological revolution in the field of ancient genomics offers the unique opportunity to study populations before, during and after these events. Using the temporal data provided by ancient DNA, a population’s demographic history, the general development of genetic diversity as well as allele frequencies at particular candidate loci can be studied. This symposium will gather researchers working on the population history of humans, animals, plants and other organisms as well as their interactions using ancient DNA. 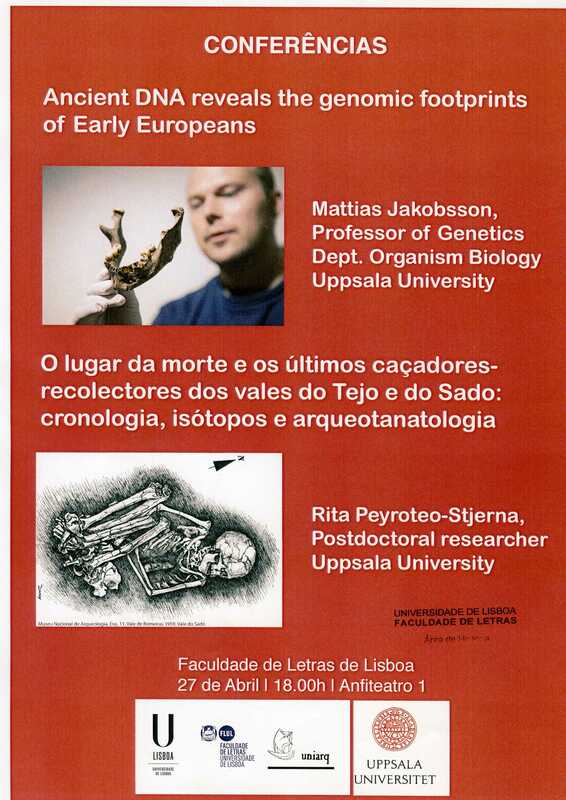 Rita and Mattias are invited to present the latest research on ancient Europeans at the University of Lisbon, Portugal.